This article by Jared Phillips first appeared in the June 2011 issue of The Spark. This year New Zealand electors will vote in a national referendum, held as part of the general elections, asking them firstly to indicate whether they want to change from MMP, and secondly to indicate their preferred electoral system. The other options are First Past the Post (FPP), Preferential Voting (PV), Single Transferable Vote (STV), and Supplementary Member (SM). If a majority votes in favour of retaining MMP that decision will be binding. However, if a majority votes against retaining MMP, there will be a further referendum in 2014 whereby electors will decide between MMP and whichever alternative procedure gains the most support in the 2011 referendum. If a new system is selected in 2014 it will come into effect at the 2017 election. Real advanced democracy can only be imposed and administered by the majority of working people through a workers‘ government. In the current period though, in which the working class has clearly not yet recovered organisationally or politically from the onslaught of neo-liberalism, it is important to ensure that the electoral system offering the most democratic electoral procedure prevails. From this point of view it is in the best interests of the working people and oppressed groups to retain MMP. Marxists refer to ‘bourgeois democracy’ to describe the current form of state rule in advanced capitalist countries such as New Zealand. Marxist theory accepts that capitalism allows a form of national political democracy, and it is labelled bourgeois democracy because it is the sort of democracy which was given birth by the development of capitalism and operates in the interests of the capitalist class (the bourgeoisie). In Europe bourgeois democracy was established by revolutions, led politically by the emerging capitalist class against feudalism and the accompanying rule by monarchy. In other cases bourgeois democracy was transferred by colonial forces (i.e., Australia, New Zealand), or brought into being by the monarchy itself so as to remove barriers to the development of a capitalist economy (Japan). The emergence of the capitalist system brought about bourgeois democracy by introducing constitutions and parliaments to limit or overthrow the political monopoly maintained by monarchies. Just as monarchical rule was attached to feudal relations of property and production, bourgeois democracy arose from the development of capitalist property relations and capitalist production. Outside of advanced capitalist countries, in semi-colonial countries, the development of bourgeois democracy is restricted by the interference of imperialist countries which operate against the interests of local democracy and against the accumulation of local capital. This is not to say that local capitalists play a progressive role in semi-colonial countries, but rather that the development of bourgeois democracy in such countries has become impossible after the development of monopoly capitalism / imperialism in the countries of advanced capitalism. New Zealand is an advanced capitalist country with a comparably entrenched bourgeois democracy. This was established by British colonial forces from the mid-1800s. Capitalist property relations and capitalist production were transplanted into Aotearoa / New Zealand, predominantly by settlers and the British Crown. The political form of this democracy is the Westminster system which is a representative democracy, within which people (at first excluding women and Maori) can vote for Members or Parliament (MPs) who then have the power to make and administer law. This form of government was placed into New Zealand with great dedication by the British Crown, as this institution and its laws were used to further smash up Maori custom and property relations. Within New Zealand’s representative democracy, the voting procedure from 1853 when the first parliament was elected through to 1993 had been First-Past-the-Post (FPP). As is well known to voters who replaced FPP with MMP by referendum in 1992, FPP produced parliaments that were not representative of the proportion of votes attributed to candidates by party and yet parliament was completely dominated by party politics, which were the politics of National and Labour. When National was elected in 1951 it was the last FPP election at which the party whose candidates collectively gained more votes than candidates of another party came to power. While FPP distorted the majority vote for and between the two major parties, it also ensured that smaller parties, whose candidates throughout the country may have achieved a reasonable percentage collectively, could not gain corresponding representation in parliament and were marginalised. In 1981 for example, Social Credit Party candidates drew over 20% of the vote nationally but were only able to win two electorates and therefore two seats in parliament. The type of electoral procedure used has wider implications than how the votes count up and distribute MPs. The electoral procedure also impacts on the way parliament is able to pass legislation. Under FPP New Zealand was known as an executive paradise because of the way in which cabinet – comprised solely of one party – was able to dominate policy by keeping its MPs beholden to it through party discipline. Within the fourth Labour government, the cabinet dominated by Richard Prebble, Roger Douglas and David Lange (though Lange tried to distance himself from its actions), and backed by powerful business interests, was able to enact sweeping neo-liberal changes, sold large parts of the state sector and started the deregulation of the labour market. It did so through undemocratic measures afforded to cabinet; skipping Select Committees, allowing debate on only minor details, keeping proposals in-house to cabinet, and generally isolating the rest of parliament. The shift to a neo-liberal regime was of course based on the requirement of capitalism to restore profitability, and was socially possible because of union-alignment to a traditional bourgeois workers party (Labour) and activist focus on non-economic reforms often to the exclusion of economic concerns. However, the experience of the fourth Labour government shows how a party could completely capture policy under FPP. The Labour Party’s rank-and-file membership declined rapidly as a result of the changes carried out by its cabinet, changes that only a tiny minority of New Zealand’s electors supported. 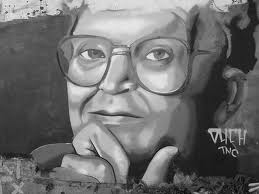 First PM of fourth Labour government, David Lange. As well as increasing the ability of electors to vote ideologically (through party votes) and abating the marginalisation of small parties, the introduction of MMP has also enabled a degree of constraint against one-party capture of cabinet (the negative impact of such capture made obvious under the fourth Labour government). Under MMP it is likely that governments can only be formed through coalitions. This usually leads to a multi-party cabinet, meaning that cabinet supremacy is restricted and cabinet secrecy broken down. Political alternatives of the left are currently being put forward from a position of weakness. Therefore the left needs to argue for the maintenance of a vote procedure that can accommodate both a) drawing upon ideological support for left alternatives through nation-wide party voting, and b) drawing upon support from supporters and progressive voters in local electorates where left alternatives are able to be established on the grounds of genuine working class and community leadership in practice. If PV is to be introduced parliament will remain the same size and there will be 120 electorates. In each electorate voters will rank the candidates in order of preference. The candidate with over 50% of votes is elected. If there is no such candidate then first preference votes for the last-ranked candidate are recounted with the second ranked candidate as first preference. This is repeated until a candidate holds more than 50% of the vote. All things being equal (i.e. that there is no structural political or social change between now and such an election) this system would be likely to return strength to the two-party system. Minor party candidates with strong electorate constituency support can still be elected, but that is already the case with electorate voting under MMP. A change from MMP to SM would produce a decline in the share of seats gained through party votes and reduce the proportionality established by MMP. Essentially the number of seats derived from party votes would reduce from 50 down to 30 and increase the number of electorate votes (parliament would still consist of 120 seats). Overall, this procedure would also tend towards restrengthening the two-party system. STV would have the effect of limiting the ability of electors to cast a vote on ideological grounds. There would be no party vote through which electors could express pure political preference. The number of MPs would stay the same but each would be an electorate MP, and there would be multiple MPs per electorate. While the use of STV would avoid disproportionate correspondence of votes and seats, and would likely result in coalitions and not reinforce a two-party system, the danger is – all things being equal – that it could also influence electors to vote for likely winners and scale down voting (or at least high preference voting) for alternative politics. At the present time and at first glance independent participation in general elections and preferences of electoral system do not appear to be the burning questions for the far-left in New Zealand. Moreover, the far-left does not uphold bourgeois democracy / representative democracy as a source of change in favour of the working class. The New Zealand parliament is the machinery of the ruling class and, upon any electoral success, the left would be required to treat it as such. There are two reasons as to why the far-left needs to be clear in its position on the electoral system. Firstly, any section of the far-left embarking on rebuilding a workers party and the radical workers movement needs to take a tactical view. Of the electoral systems available, MMP is the one that offers more scope for future initiation of electoral interventions or campaigns of the far-left. Second, socialists need to make explicit the connection between socialism and democracy. Openly struggling for democracy is essential for rebuilding fighting unions, for short-term building of far-left organisations, for forging any organisation that will ever be capable of properly challenging capitalist power and establishing workers’ democracy. Championing democracy is also neccessary for rearticulating the ideas of genuine socialism in contrast to Stalinist methods. As well as articulating a view of post-capitalism, the far-left has to support the electoral system which offers the most democratic space. « Wellington Protest: Call for Action on Oil Spill!